In May of this year, approximately 80,000 residents of Fort McMurray in Alberta, Canada were forced to evacuate their homes due to the continued spread of a wildfire that is now burning an area estimated at approximately 1860 square miles—and then there was another was announcement that the same fire had spread into the neighboring province of Saskatchewan. Photo of the Fort McMurray wildfire in Canada. This wildfire has been so sustained and has grown so large that the conflagration has made international headlines. The estimate is that the residents who have been displaced by the fire will be able to return to their homes in mid-June, and even that date is conditional and based on the situation vastly improving. Wildfires such as this one in Canada are terrifying due to their unpredictability and their almost unlimited potential for damage. Unfortunately, they’re more common than you might believe. One of the ways wherein organizations can better prepare is to explore innovative new uses of existing technologies to better respond and fight wild fires. In an article in the nationally-distributed Canadian newspaper, the Globe and Mail, reporter Affan Chowdhry interviewed Rick Swan. Rick is the director of wildland firefighting safety and response at the International Association of Fire Fighters in Washington, D.C., and previously spent 33 years fighting fires California. What really stood out in Rick’s interview was just how essential GEOINT and command and control are in the fighting of a wildfire—both for firefighter safety and for effectively battling a blaze. The ability to view the entire scope of a fire and see the full, high-level picture, decision makers and senior leaders are then able to ensure that no firefighters get surrounded, that they’re not cut off from necessary supplies and that the appropriate citizens are being evacuated at the correct time. This intelligence guides the movement of firefighters, which citizens are evacuated and dictates strategy. Traditionally, GEOINT (geographical intelligence) has been gathered by helicopters. Unfortunately, the average helicopter used in this capacity can only remain in the sky for an average of two hours at a time and an extended flight period could unnecessarily place pilots in danger. For this reason, a new weapon is being entered into service in the battle against wildfires—satellite-connected UAVs. In 2013, a Predator UAV was able to assist California firefighters battle the Rim Fire burning at Yosemite National Park. 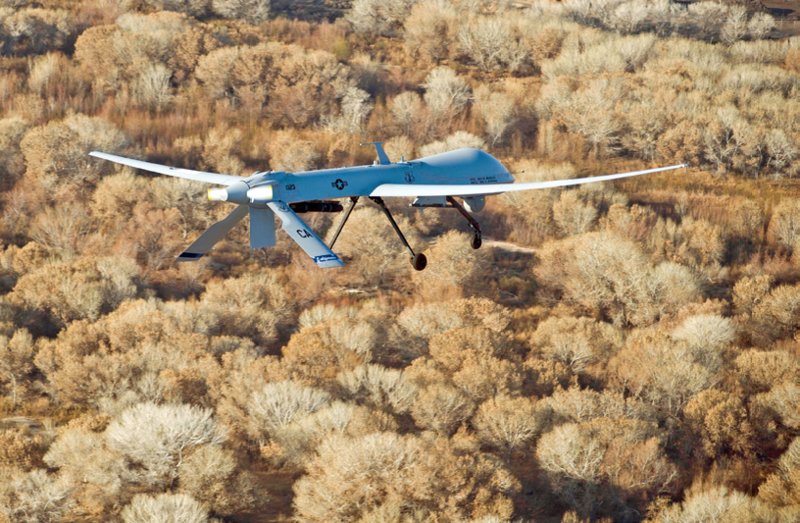 The MQ-1 Predator drone was on loan from the California National Guard and was capable of delivering real time video intelligence of the fire for a total of 22 hours at a time. This wasn’t the first time a drone was used in response to a wildfire. Previous fires in 2008 and 2009 also used drones to determine hotspots and provide intelligence to decision makers. There would be little in the way of surprise to ultimately see UAVs become a steadfast and integral part of fighting wildfires now and in the future. Using SATCOM ensures that government organizations don’t have to pay for the construction and launch of their own dedicated satellites for the operations of drones in firefighting efforts—a cost that would be almost impossible for them to accommodate, especially given today's restrictive budgets. 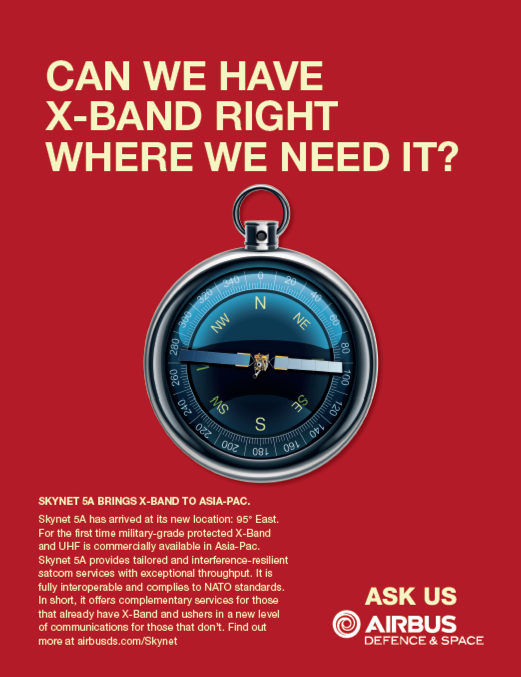 SATCOM also ensures that the high-bandwidth, low-latency connections that these agencies need are available when and where they’re required. UAVs are an incredible new tool in the battle against wildfires. Their introduction to these emergency scenarios couldn’t be timed any better, as reports indicate that the frequency and ferocity of wildfires is on the increase. SATCOM will continue to deliver the connectivity necessary to make these tools available to firefighters and first responders. 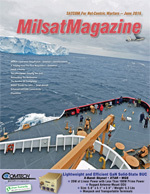 This article is republished, courtesy of GovSat Report (ses-gs.com/govsat), and Executive Editor Ryan Schradin. He is a communications expert and journalist with more than a decade of experience and has edited and contributed to multiple, popular, online trade publications that are focused on government technology, satellite, unified communications and network infrastructure. His work includes editing and writing for the GovSat Report, The Modern Network, Public Sector View, and Cloud Sprawl. His work for the GovSat Report includes editing content, establishing editorial direction, contributing articles about satellite news and trends, and conducting written and podcast interviews. Ryan also contributes to the publication’s industry event and conference coverage, providing in-depth reporting from leading satellite shows. The GovSat Report is sponsored by SES Government Solutions (ses-gs.com/govsat).